Finish: There are a multitude of different finishes to choose from. Natural (Bright) zinc is marginally cheaper in price as it is the only zinc product we install that hasn't been treated. The pre-weathered zincs range from various shades of grey, i.e. Blue/grey, quartz, graphite or Anthracite. Copper roofing is without question the most prestigious of all the types of roofs it is possible to have. Its weathering capability and longevity have been tried and tested throughout centuries and when installed correctly will last a lifetime. Don't be fooled into thinking that when you buy a copper roof that the colour of your roof will be copper, well at least not for ever. 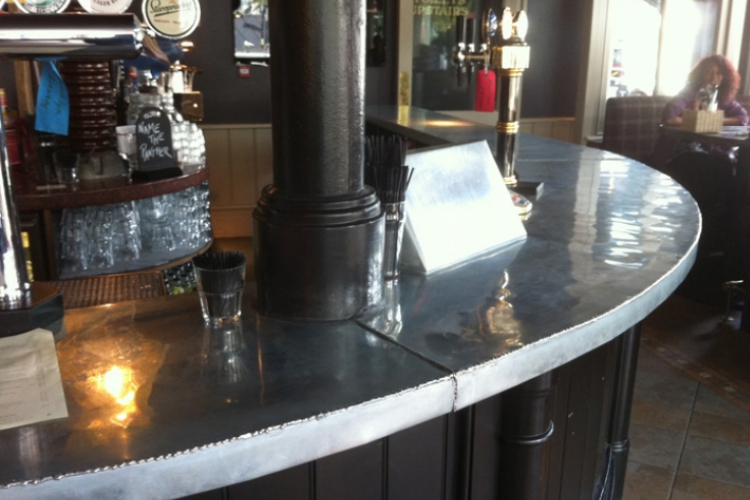 Eco Roofing also offer their exellence in metal work to bars, counters and work tops. Following the fashionable zinc bars of Paris, cladding tables, work surfaces and bars is becoming more and more popular across London. 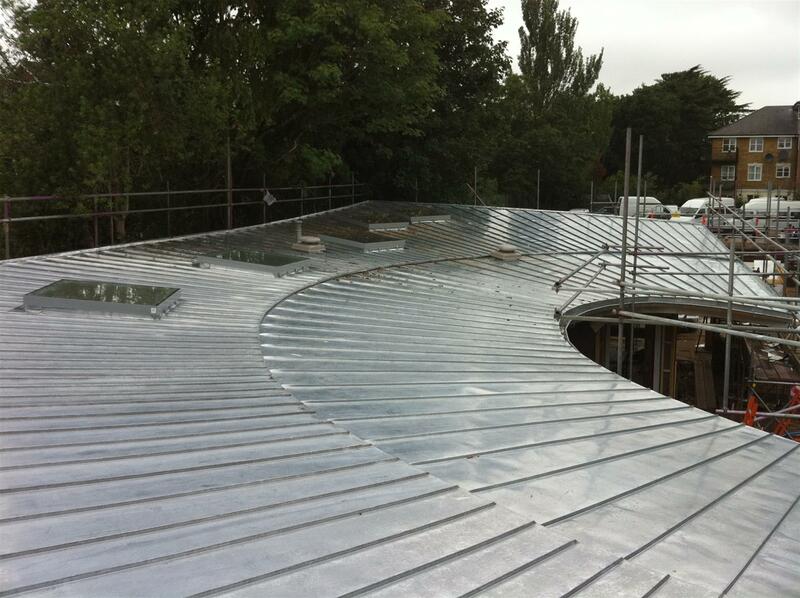 When you need zinc roofing in London or zinc roofing in Surrey, Eco Roofing is the team to trust. We are a family run business with over 20 years of experience to call upon. We are a new, diverse and innovative roofing company, newly established in the local area and striving to expand upon our already enviable reputation for excellence. We offer a professional, reliable and trustworthy service. In 2002 we fitted the London Bridge Dome, winner of the John Smiths Copper Federation Award. Unlike mineral felt, it has a very long life span and comes with a 25 year guarantee. For more details, call our expert team today. Harder than copper or zinc stainless steel comes in 0.3 or 0.4 mm thick sheets, this allows it to become manageble such is the rigidness of the material. This is probably the most durable of all the sheet metal roofing materials. Aliminium is incredibley light and flexible material making it good for barrel vaulted roofs although it does not solder easily unlike the other materials making it less ideal for complicated projects or roofs with alot of pipes and other penetrations coming through. Please e-mail any drawings to our quantity surveyor at 'ecoroofing@live.co.uk' .For further information about any of the services we offer, or if you have any queries, call today on 0208 657 7725 (local rate) or 07917 043 013. Alternatively, email us directly using the query form on the Contact Us page of this website, and we will respond as soon as possible. We look forward to working with you. 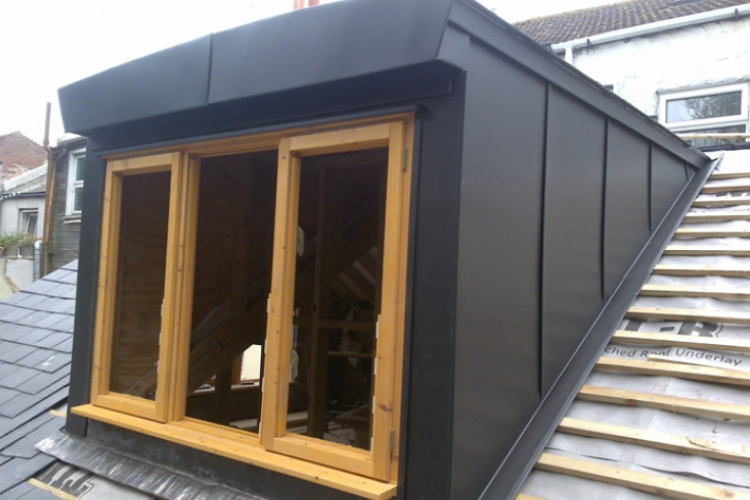 Do you want zinc roofing in Surrey? 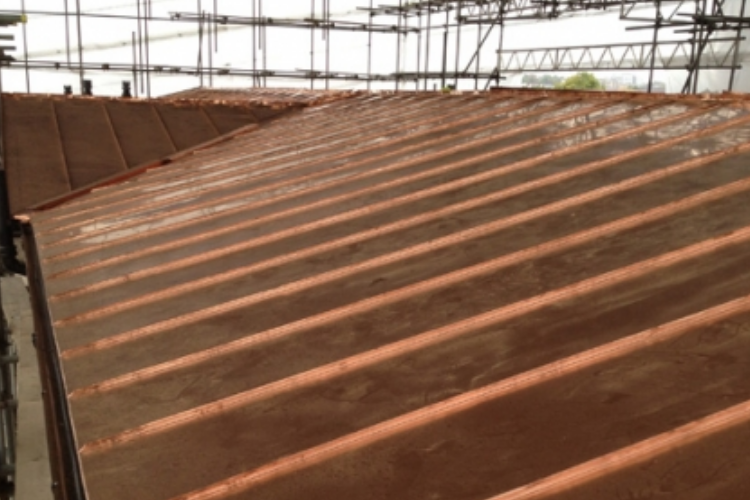 Could you benefit from copper roofing in Sussex? For zinc roofing in Croydon, and much more, don't be tempted to settle for second best. Consult the leaders in the field here at Eco Roofing, and discover the benefits of our combination of modern material use with traditional building styles. 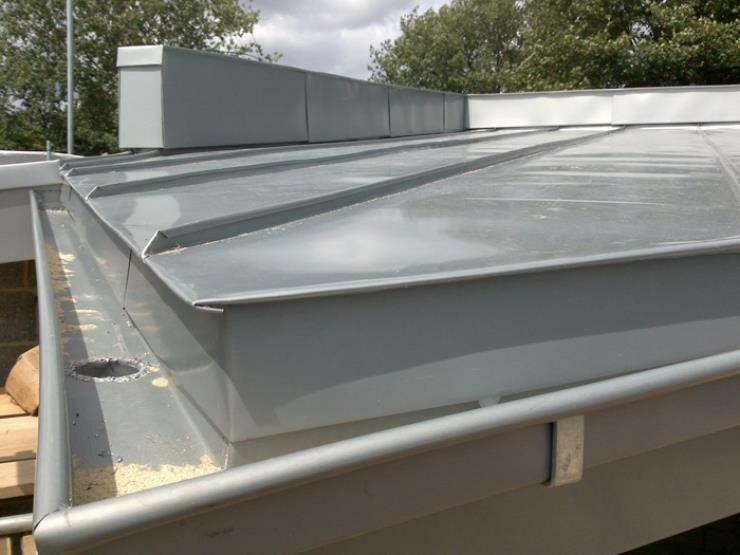 When you need zinc roofing in London or zinc roofing in Surrey, Eco Roofing is the team to trust. We are a family run business with over 20 years of experience to call upon. We are a new, diverse and innovative roofing company, newly established in the local area and striving to expand upon our already enviable reputation for excellence. We offer a professional, reliable and trustworthy service. In 2002 we fitted the London Bridge Dome, winner of the John Smiths Copper Federation Award. Unlike mineral felt, it has a very long life span and comes with a 25 year guarantee. For more details, call our expert team today. For zinc roofing, or roofing with any of our other beneficial and innovative methods, Eco Roofing is here to help you. 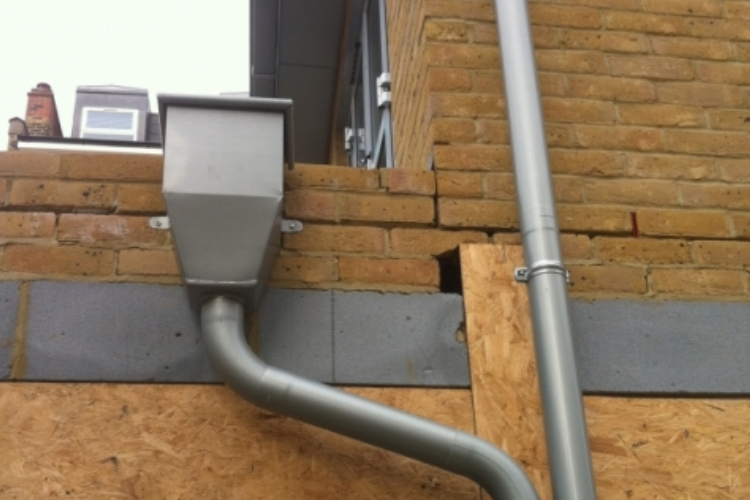 We cover the whole of London, Surrey, Kent and both West and East Sussex. We are proud of our coverage, and equally delighted about the range of clients we are able to cater for. Our service draws clients from the domestic, commercial and industrial sectors. We have worked with English Heritage, so to receive the same level of service for your project, call today. Specialising in zinc roofing, we make sure the design and styling of your zinc roofing always meet your needs. Zinc roofing can save you many costs in the long term and are a fantastic material, designed to last against all weathers and offer great durability. There are several laying methods for zin roofing including batten roll, standing seams and single lock. There are also several zinc roofing materials available to create the perfect style for your property and give you complete satisfaction over the final installation. Zinc roofing is a very cost-effective option, being very affordable for all properties and offering the durability you need to prevent future issues from occurring. Please e-mail any drawings to our quantity surveyor at 'ecoroofing@live.co.uk'. For further information about any of the services we offer, or if you have any queries, call today on 0208 657 7725 (local rate) or 07917 043 013. Alternatively, email us directly using the query form on the Contact Us page of this website, and we will respond as soon as possible. We look forward to working with you. With a range of roofing options, we can always advise you on the best choice for you and what benefits zinc roofing will bring.